Shawn Mendes releases new details about the "intense" music video he's set to unveil in the near future for his song 'Mercy'. Larry King: What’s on it? Larry King: Can you give me a clue? Shawn Mendes: Um, it’s very intense. Like it’s pretty intense, it’s scary. My mom was tearing up watching the screen because of how scary it was. Larry King: A new song? Larry King: Is it on ‘Illuminate’? Larry King: But you have not shown this video? 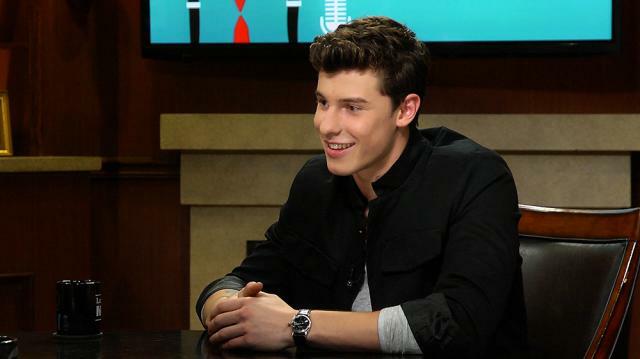 Larry King: When will you show it, Shawn? Shawn Mendes: You’re going to have to wait and see. Soon. Soon.